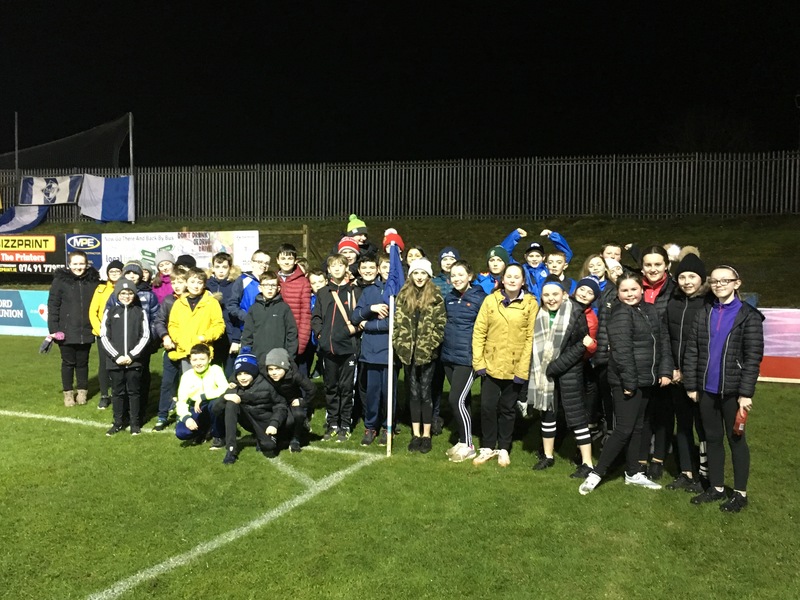 On Friday the 1st of March Mr Reynolds took us to a Finn Harps football match in Finn Park .They were playing Sligo Rovers .We met at the school at quarter to 7. We went by bus to the match. We went to our seats when we arrived. The match started at 8 o’clock. Sligo went 2-0 up. Harps responded with a goal to make it 2-1, but it ended up Sligo 2-1 winners. It was a really good atmosphere. It was a good game. After the match we got on the bus and headed back, the journey took 20 minutes. When we got back to the school our parents were waiting for us. On the bus on the way back Mr Reynolds was very happy with the score. Mr Friel, Gerard , Mr Winston, Mrs O’Brien and some parents came with us. We had great fun.